So much work goes into creating online content, and every time we release it into the world we hope people see it. We even hope it goes viral. While that’s not a bad goal to aim for, even the best content creators and digital marketers don’t go viral every time. There are a lot of different ways you can promote your work though. There are also a lot of different ways you can encourage other people to promote your work, too, and that’s even better. Encouraging your audience takes a bit of work. It’s not as easy as hitting the publish button and sharing it a couple of times on your social media accounts. People will only share your content if they want to, and if it’s easy for them to do so. The only reason anyone is going to share your content is if they want to, which means they have to like it for one reason or another. In any case, quality content always trumps quantity. It doesn’t matter how often you post if people aren’t enjoying it. 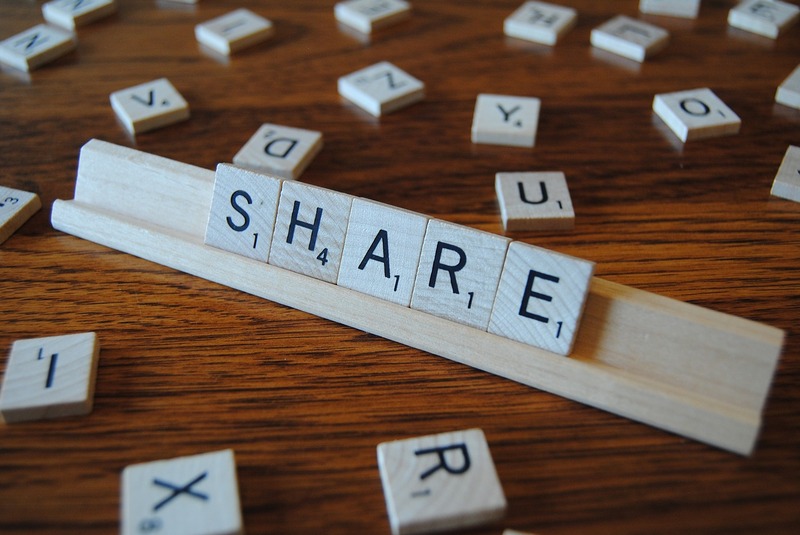 The only way you’re going to encourage someone to share your content is if it’s good quality. First of all, make sure your content is useful and informative. It should benefit your audience in some way. It doesn’t hurt to add more value than your competition. Next, make sure you only use credible sources and honest testimonials. This helps build your credibility and trustworthiness. Finally, your content should be error-free, attractive in design and easy to navigate. And this is true whether you’re writing for your blog or in your email marketing. Whilst also ensuring your content is reaching your target audience and they are sharing and reading it, you also need to understand the importance of email marketing. This is your number one communication tool as 91% of consumers check their emails daily and it is the most effective way to create leads and turn them into customers. A company whom understands the importance of this is Optinmonster, they have a useful email marketing guide on their site on how to get started with email lists. Round-up posts and listicles that mention experts in your niche are another great way to encourage your audience to share your content. Round-ups with experts get a lot of social shares because you can reach out to everyone who has participated and kindly ask them to promote your post. These experts are likely to have their own large followings online, so when they promote your content it will reach a much larger audience. Which is why it would be a priority to reach out to experts in your field , so you can reach people who will benefit most. Creating a round-up isn’t as difficult as you might think. It can be as simple as gathering quotes from your favorite influencers or reaching out and asking them to share their best advice on a specific topic. Most will be willing to help out if they have the time. It needs to be easy to share, or most people won’t bother. Social sharing buttons are a quick-fix to this problem. You can easily add a variety of social share buttons using a plugin for WordPress. Most plugins give you the option of placing your social share buttons at the end of the post, on the side of the page, or as a sticky bar at the top, bottom, or side. On top of that, many social share buttons have the option to display how many times your content has already been shared, which can work as a way of social proof, encouraging them to share it, too. People love images! They help break up large chunks of text, they’re visually appealing, they add more keywords to your content, and they also encourage users to share your content. However, since Pinterest is one of the best ways to share content right now, creating pin-worthy images is a must! Many bloggers from Melyssa Griffin to Elna Cain of Twins Mommy use Pinterest to grow their blog traffic, and understand the power of pins. Pinterest images should be a ratio of 2:3 and no bigger than the maximum ratio of 1:2.8. Taller images will stand out on Pinterest’s feed better. Use high-quality images that are clear, crisp and well-composed. Less clutter is best. The text should include the title of your content, your URL and a thoughtful description. Pinterest is an excellent tool for sharing content. It brings a ton of traffic to your website, it’s easily discovered through Google searches and increases the longevity of your content. If you include pin-worthy images in your content you’re more likely to encourage your audience to share it on Pinterest and will be able to take advantage of this amazing free digital marketing tool. The best way to encourage your audience to share your content on Twitter is to write out a blurb or quote from your content and make it easy for them to tweet. First, you can go to Click to Tweet. On this website you are able to enter the text you want people to tweet. Once you’ve done that, it will generate a link for you to place in your online content. The next option is to install a plugin called Better Click to Tweet, which is available to use on self-hosted WordPress blogs. Don’t have a WordPress blog? Consider starting one the right way. What’s great about this plugin is that it’s built right into your blog post options. Just click on the little blue bird at the top of your blog post and it will add the html required to do it. Now you just have to enter the text you want people to share. This is a great technique to encourage your audience to share your content on Twitter, resulting in more tweets and traffic to your website. Finally, if you want people to share your content, just ask them. Amazing as it sounds, adding a call to action to share your content often results in more social shares. You would be amazed by how effective it is to use a call to action, whether it’s to remind your audience to share your content, or join your mailing list using these popup hacks. The best way to really increase your social shares though is to try different things, and to really understand your audience. If your target market spends more time on Twitter, try Tweet This. If they’re more likely on Pinterest, create pin-worthy images. If they’re on both, do both! It’s never too late to go over your website and make sure you’re taking advantage of every possible opportunity to encourage your audience to share your content.